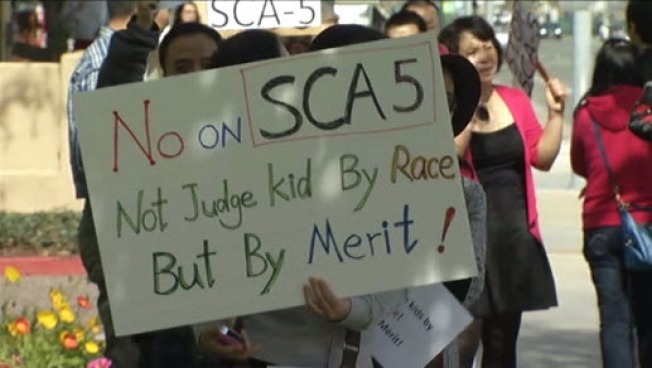 Many California parents oppose a proposed constitutional amendment that would repeal portions of a landmark state measure banning college admission based on race or ethnicity. The proposed amendment, which has passed the state senate and is on its way to the assembly, would repeal portions of California's Prop. 209 and re-institute affirmative action at state colleges. Many Chinese Americans are among those opposing the rollback. "We shouldn't put race into consideration," said Barry Chang, who protesting Friday in Campbell. "We should be color blind. Now why you bring up the color? That doesn't make any sense to me." 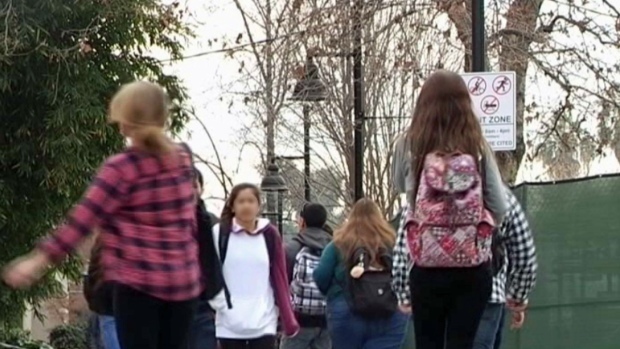 San Jose State University police are providing safety escorts to students after two sexual assaults on campus over the weekend. Kris Sanchez reports. Dozens of Chinese Americans marched and chanted outside the offices of Assemblyman Paul Fong Friday. They want him and other Asian American assembly members to take a stand and denounce the proposal before it hits their desks. The proposal also has been a hot topic in some of Dr. Michael Chang's classes at De Anza College. He said a majority of Chinese Americans across the state do not want race preferences in college admissions. 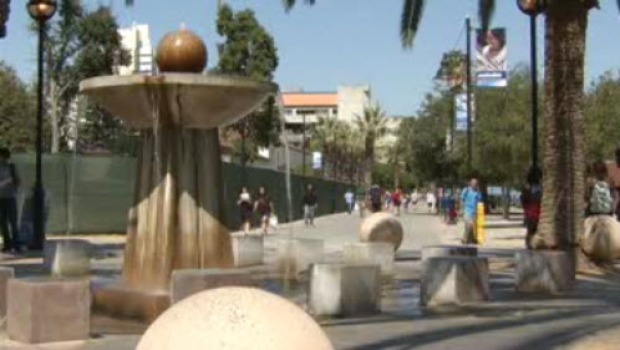 One expert says San Jose State University is dropping the ball in the way it's dealing publicly with racial tensions on campus. Damian Trujillo reports. "That's what they would look at," Chang said. "It should be merit based. If they have a higher GPA, they should be the one to go to college." However, one of his student's said they are in favor of the proposed change. "It gives everyone an opportunity to go to school and it's not based on SAT scores," student Twanah Marshall said. "It's fair for everybody."